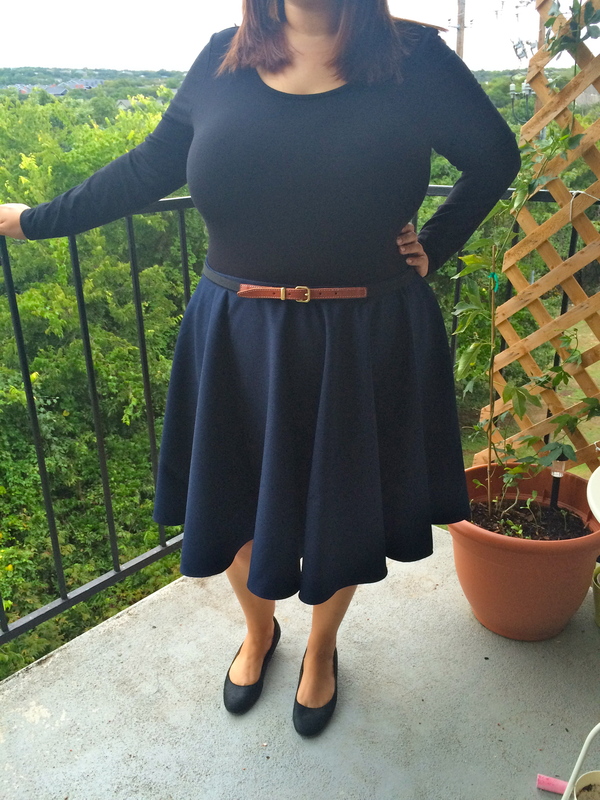 I SERIOUSLY need a circle skirt intervention because there are so many in my closet but I JUST CAN’T STOP. 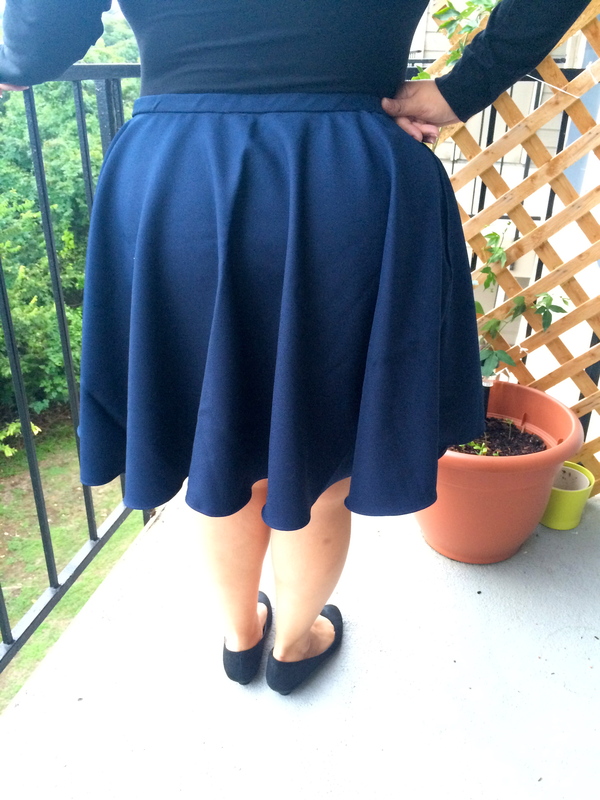 I’ve also been trying to make actual waistbands for my skirts but it’s not as easy as it seems. If only the rest of the waistband was as smooth as the front. So many problems that I couldn’t figure out but I couldn’t let it defeat me. Loving how the skirt flows over my booty! Reminds me of waves. Waistband pulling is apparent here. EWWW^^^. You can see the bottom left side of the waistband is pulling and it really upset me. 4 failed attempts later I decided to leave it alone. I can always add tiny belt loops to hide the flaws. Also, the closure looks really bad! I’m straying away from elastic waistbands so it will take some time for me to learn. I will of course post everything as is. There’s nothing to hide or be ashamed of when you’re learning to sew. With that said, I will take any advice that’s given to me so I can avoid this mishap in the future. Add a belt and it already looks better! I bought this fabric at Savers. Three yards for $1.50 is a steal, even though it’s a very warm material. Luckily it’s slowly cooling down in Austin and I can wear it soon. The skirt really does have a nice flow. A belt is a good solution, but you can can also wear an untucked sweater when it gets cold. Looking good! Thanks! 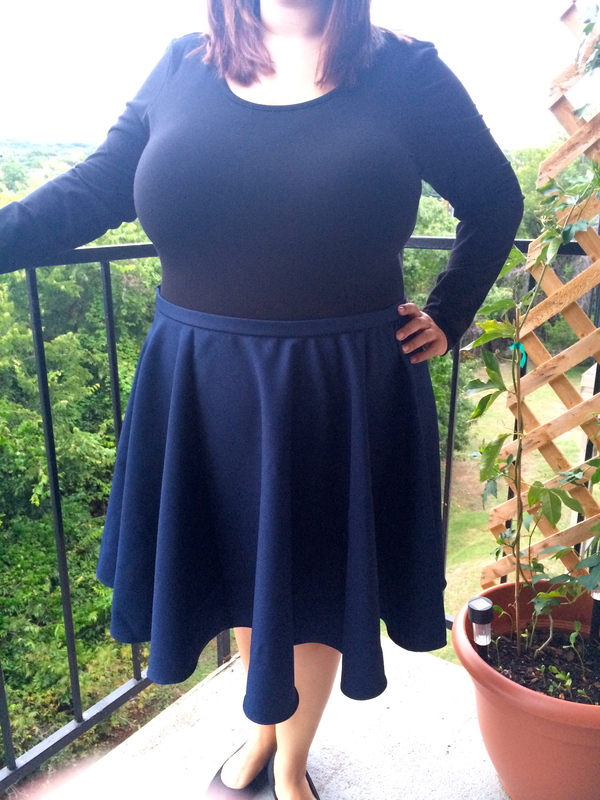 I actually just made a top that is a sweater-y material for this skirt! I hope it matches lol:). Thanks:)! 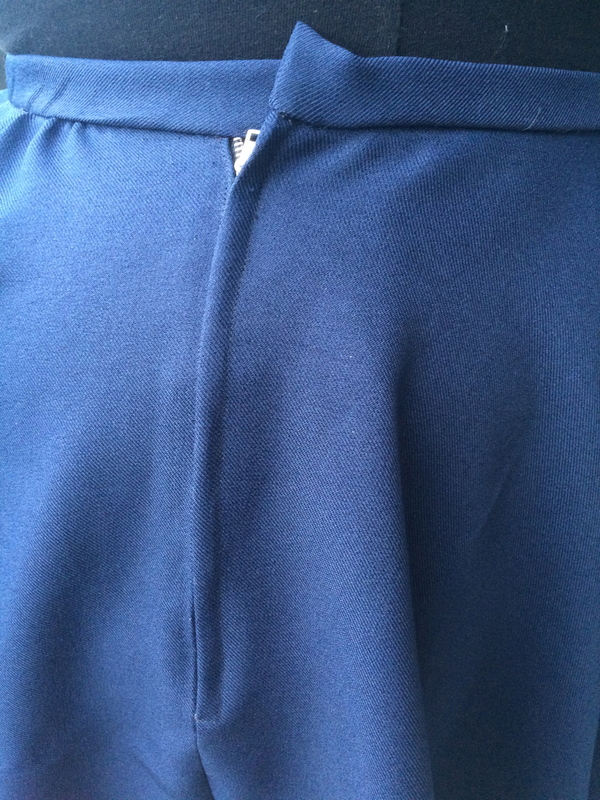 I did use a thick interfacing but it didn’t work. I’ll figure it out one day!